This CD+DVD package contains a solo album by Chihara Minori (茅原実里). 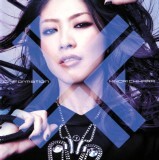 The DVD contains video from Minori's Acoustic Live of November 20, 2011. There is around 91 minutes of video.